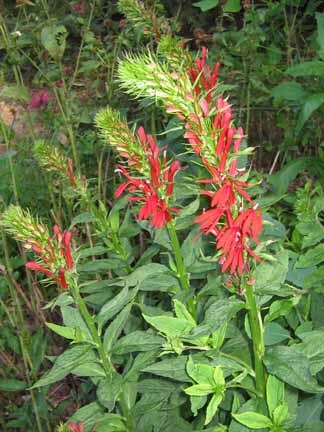 Cardinal Flower - Lobelia cardinalis L.
Cardinal Flowers grow along streams and rivers. 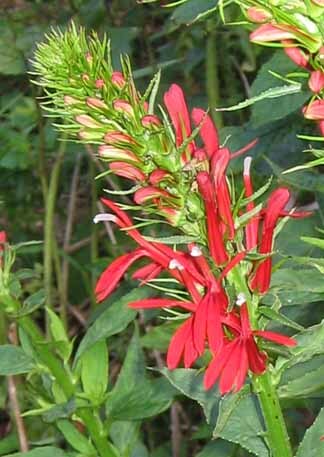 I have added them to my habitat garden for their nectar and their beauty. The hummingbirds visit them every day once they begin to bloom in late July.